Do you enjoy the books or films based on vampire stories? 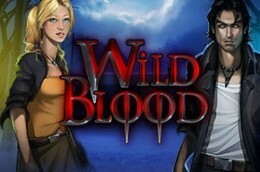 Well, Wild Blood is one of the online video slots that has a vampire inspired theme. This online slot is powered by Play ‘N Go and is a 5-reel and 15 paylines game. The higher value symbols are 3 attractive female vampires, while the lower value symbols are the blood red 9, 10, J, Q, K and A letters.